• Would Greg Nash miss IPA Day? He’s brewed up something special that will be pouring at the Rockbottom in Halifax: Oak-Aged Double Hoppelganger. This DIPA has an ABV of 10% and a calculated IBUs of 305, with tons of Summit, Chinook, Centennial, and Magnum hops. As expected, no growler fills on this bad boy. • And, moving on, Nash also brewed up something hoppy for the Hart & Thistle. Toning it down to 7% ABV, the Old 87 (an American IPA) has about 50 IBUs and showcases lots of Columbus and Falconer’s Flight hops, heavy in both flameout and dry-hop additions. • Off the mainland, the PEI Brewing Co. will be showcasing the IPA all day at their brewery in Charlottetown. Their original 1772 will be available on tap and in bottles, of course, but the brewers have also concocted two cask versions to serve to Islanders looking for more of a hop fix. We’ll be enjoying several IPAs later today… don’t let us be the only ones! 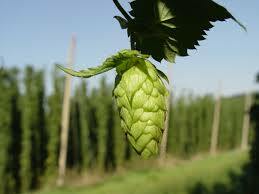 Prepare your palates for some shredding, and celebrate the wonderful world of hops. Hoppy IPA day from Long Island! Hope you celebrate accordingly!